Casino Night – Friday, March 29th at Lincoln Valley Golf Course! This is a certified KCBS event and only current certified judges will be allowed to participate in the judging. Please ensure to bring your membership card with you to the judge’s check-in. By submitting the online entry, you agree to the following waiver of Liability: I accept and agree that I will be solely liable for food or beverages taken from the Rose Festival BBQ Contest and Rose Festival or consumed after the event ends. I will release the Rose Festival Association of State Center, KCBS, all sponsors, volunteers and participants of the Rose Festival and the Rose Festival BBQ Contest and will hold them harmless from any liability to me or any other person to whom I provide such food or drink. Via Mail: Click on the 2019 Rose Festival BBQ Judge App to open, complete, and return by April 1, 2019. 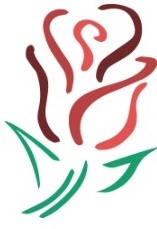 Donate to the 2019 Rose Festival Here! 4-Person Best Shot Golf Tourney Sunday, June 11th!